16 March 2017 – Life Is Such A Sweet Insanity. I have never made it a secret that I look up to Steve Jobs. Yeah, he was a bit crass and he might have improved on ideas that he got from others, but the man had a vision, more importantly he had a set of standards and expectations but most importantly, he did everything in his power to make all of those things come together. This is one of the reason that I am an Apple fanboy. In a way I can’t believe that I am saying this, because I’ve toyed with many operating systems over the years. I was a Linux evangelist for a while. At one point I had used every iteration of Windows starting with Windows/286 in the mid 1980s right up until Windows 8.1. (I’ve toyed with Windows 10 a bit, it’s good but it still underwhelms me). 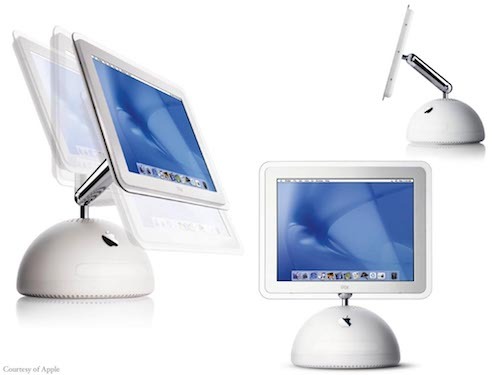 I could never get into Mac OS before Mac OS X (later MacOS came around), but ever since that day I bought Earl one of those pedestal iMacs, I’ve been hooked. It just works. Notice that I didn’t say “It just works, most of the time” or “It just works some of the time.” Because even though some later iterations of MacOS and iOS have undergone some speed bumps in the quality control department, when you boil out the BS you’ll find that the offerings from Apple are still top in class. People like to complain about the specs of new computers and how underpowered they are. Since the vast majority of computer users are using a web browser, a mail program, possibly a calendar and maybe a chat program of some sort, how much power do they really need? Do we need to fleece a 65 year old senior of their life savings for a computer with enough specs to render an animated film? No! I’ve toyed with the idea of getting a Chromebook and storing all my stuff in the cloud. The NSA, the CIA and probably a whole bunch of other organizational alphabet soups are monitoring my behavior on the Internet at any given moment, why should I encourage them anymore by storing anything and everything I do in a web browser? There’s a certain amount of comfort in using a quality built laptop with a robust operating system to store my files. It’s taken me a little while to warm up to my latest MacBook Pro (which I purchased in July 2016 to replace its stolen older brother) but I love it. It works the way I want it to, it does what I want it to do and most importantly, it doesn’t create friction in my computing experience. Working on a computer should be frictionless. Folks at work are often surprised when I add features to the software that I write and maintain because I don’t provide documentation. I design and build software that doesn’t require a manual to operate it. If you need to refer to documentation to run a software program there’s a couple of things happening, namely, the software is poorly written and/or designed or the user is not educated enough to be embarking on the task to begin with. I believe in computer education. I believe in educating people to use computers safely. But more importantly I believe in making that education immersive. People learn best by doing, and a person should learn something every time they use a computer. For much of his adult life, Steve Jobs asked himself one question on a regular basis: “If today were the last day of my life, would I want to do what I am about to do today?” If the answer was “no” for too many days in a row, Steve knew that he had to change something about his life. I ask myself that question a lot. Am I happy guy? Am I happy with what I’m doing? Am I happy with where we live, with our opportunities? My answers are almost always positive. I have the love of my life in my life and I have some extra love on top of that. I have a great group of friends. I fly airplanes, something that I’ve always dreamed of doing. And I love my job. I enjoy what I do, I work for what I believe is a great company and I believe that I am making a great contribution to the company I work for. There’s one sticking point that’s been bothering me but I’ll work through it. My former manager sought me out for my position. When I accepted the position I insisted that I be able to use a Mac as my work computer. The company is a solid Microsoft shop. Working with Mac, and I’m not the only one in the company doing so, results in occasional shunning from new collaborate features the company is rolling out to its users. I work around them, I work through them, but that’s the part of me that doesn’t always get a positive answer when I ask myself if I’m completely happy. There’s too much friction in my computing experience at work and as I said before, I believe the working with tech should be as frictionless as possible. I know it’s of my own doing, using a Mac in a company that loves Microsoft, but nevertheless, I’m not alone and I believe that the powers that be should broaden their horizons and look at the entire wall, not just one picture. Ever since my last surgery a couple of weeks ago I’ve decided to keep my blood pressure low by unbottling my feelings. Earl and I have had some lively discussions, mostly about politics. Some of the liveliness has been fueled by the good meds they had me on for a week or so, but it’s been good to feel engaged. Earl teaches me a lot. He’s the smarter man in the room. I learn from him every day. And the learning is frictionless. Except when I’m yelling with passion (not in anger). I’m focused on living in the moment. Living for today. Unplugging and listening from time to time. Plugging in and sharing. Life is best when we know it’s finite for then when try to do as much as we can in the time that we have. And we try to do it with as little friction as possible. Don’t be friction. Help the world glide and grow.